Open days offer a great opportunity for prospective students to find out about many aspects of the University. 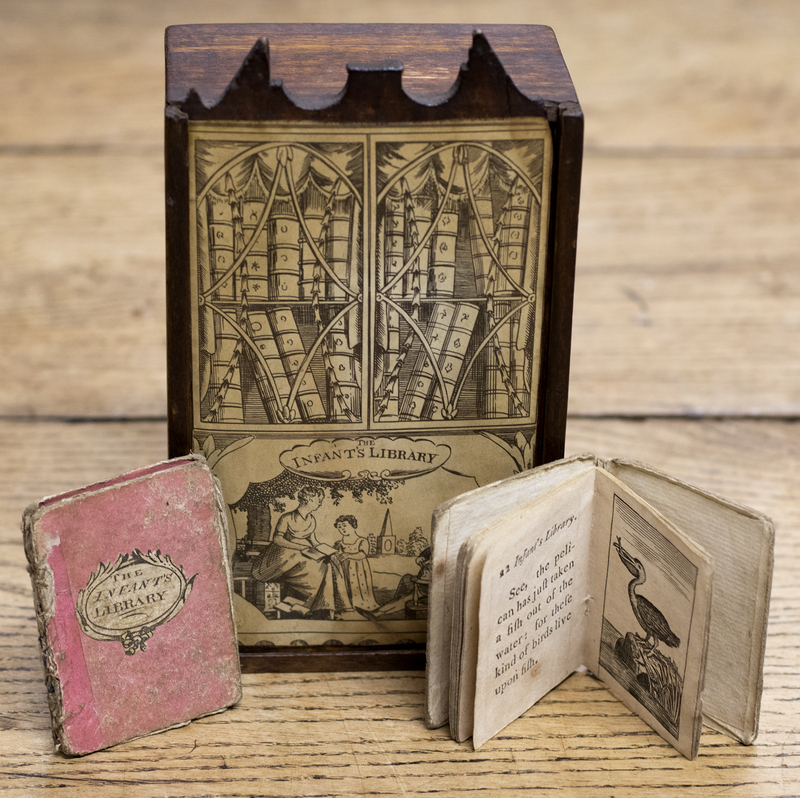 For Bristol’s open day on 9th September, Special Collections opened its doors for an exhibition of just some of the delights held in its vast and wide-ranging collections. 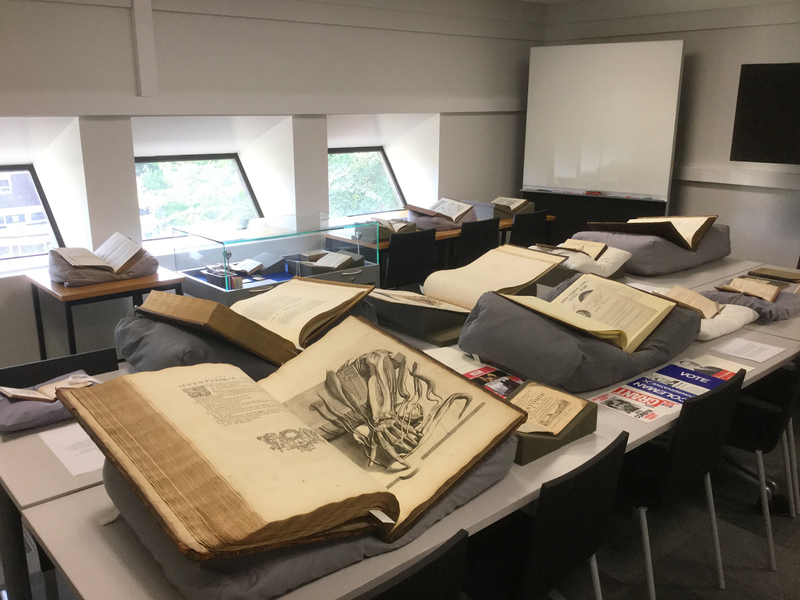 We welcomed a steady flow of students and parents for much of the day, many of whom were delighted at the opportunity to see some of the rare books and archives held at Bristol. The materials for display were chosen to give a taste of the diversity and scope of the collections. 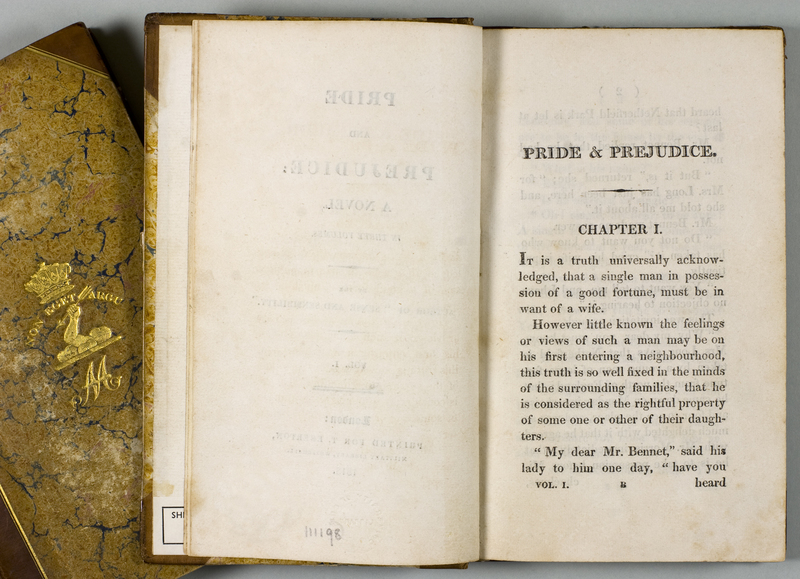 Many visitors were interested to see a first edition of Jane Austen’s Pride and Prejudice (1813), alongside S.H. 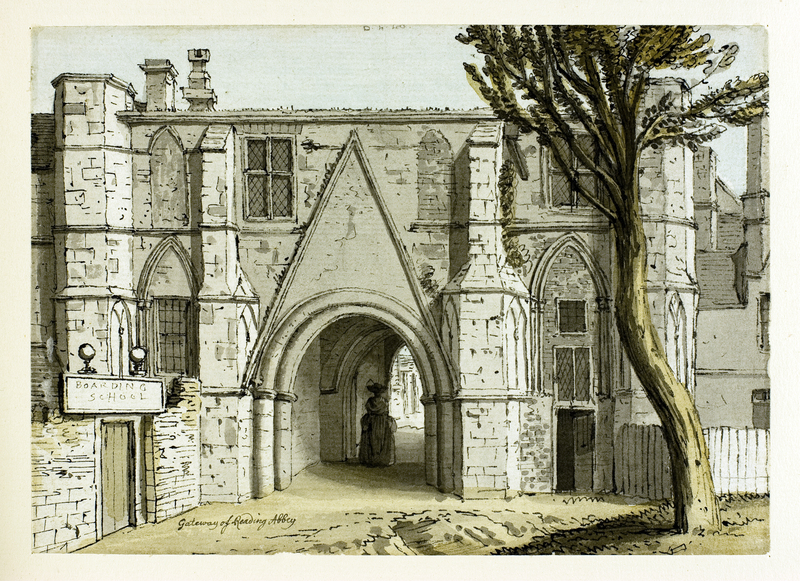 Grimm’s watercolour of Reading Abbey gatehouse (where Austen once went to school) which is one of a large suite of extra-illustrations in Dugdale’s Monasticon Anglicanum (1817-30). 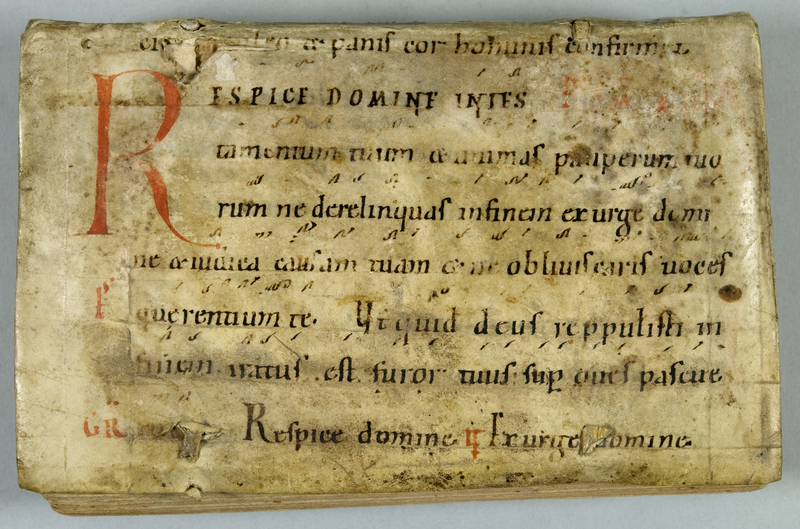 The earliest item on display was a fragment of music from a gradual of the 12th century, which had been used as a binding for an early alchemical tract from the abbey of Melk in Austria. It was not uncommon for unwanted manuscripts to be used as binding material for later books in this way, as the vellum or parchment on which they were written provided a useful and sturdy material. 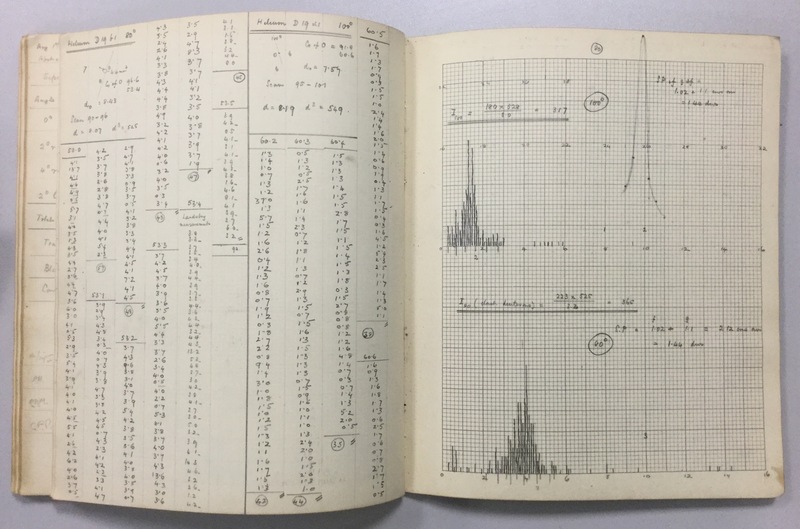 Much more recent in date were notebooks of Bristol physicist Cecil Powell, who won the Nobel Prize in Physics in 1950 for his discovery of the pion subatomic particle. 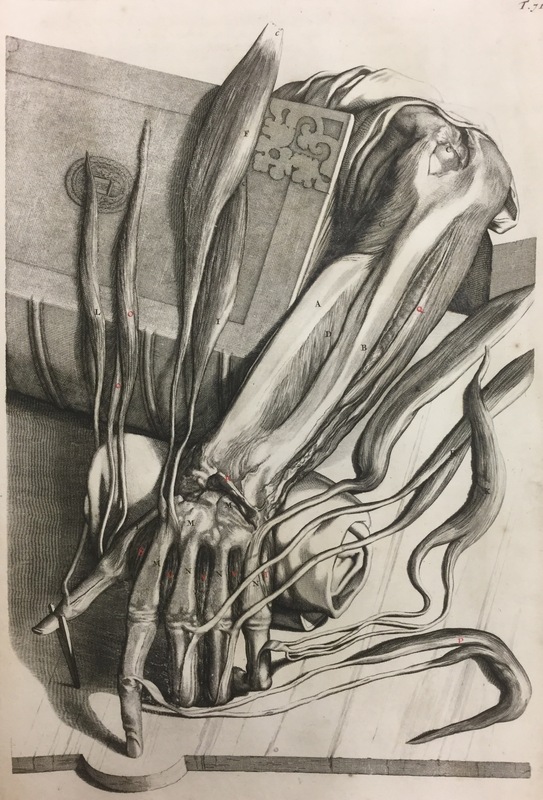 These were displayed alongside other items from the Powell archive and proved a timely exhibit, as the 70th anniversary of the discovery has been celebrated at the University this month. 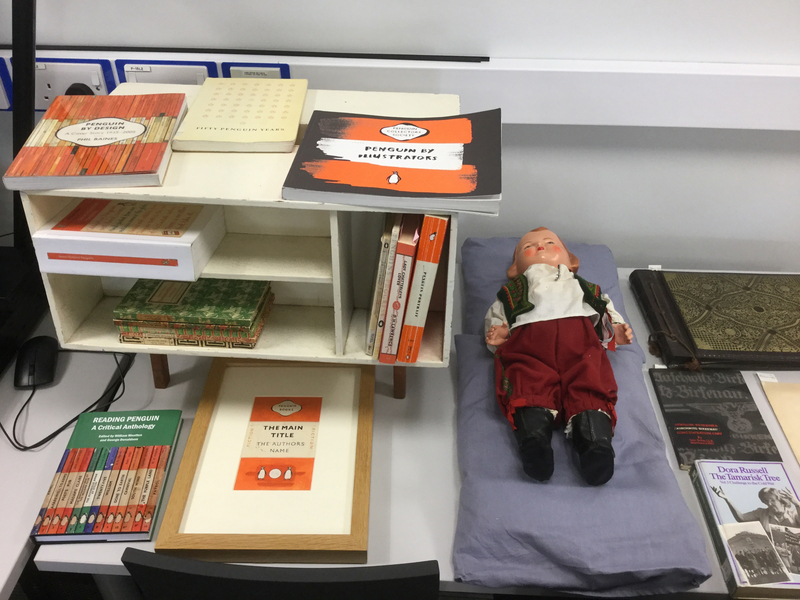 Other highlights included a miniature library of children’s books; a display from the Penguin books collection; items from the Feminist Archive South relating to Dora Russell’s ‘Women’s Peace Caravan’, which travelled across Europe in 1958; as well as masterpieces of botanical illustration, architecture, geology and map-making. We hope that the exhibition enriched the day of those who visited it and proved enticing to prospective students. This entry was posted in Uncategorized on September 25, 2017 by Jamie Carstairs.